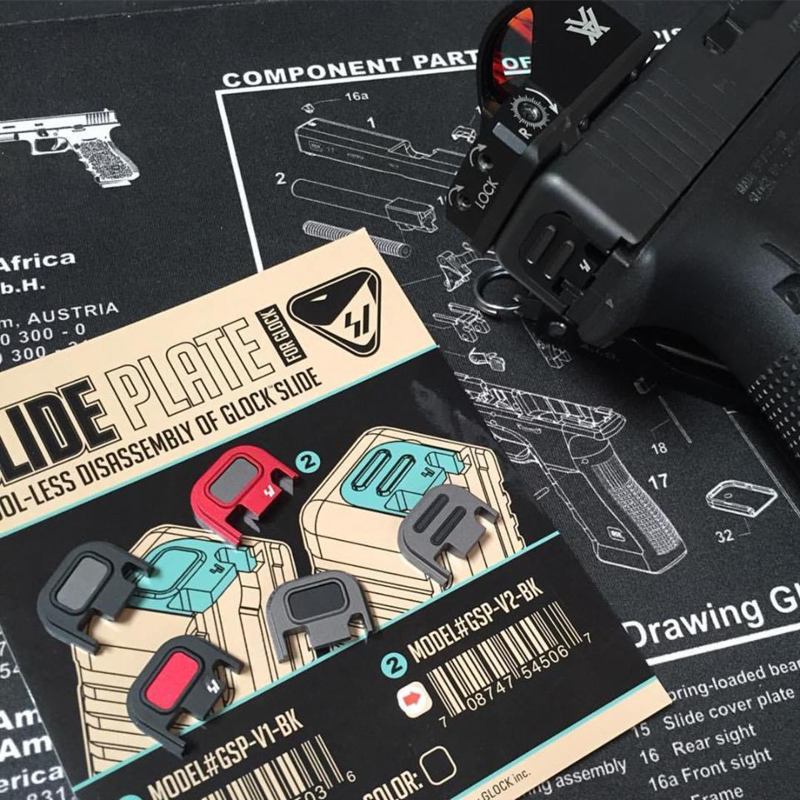 Strike Industries SI QD Slide Cover Plate (Back Plate) for Glock Pistols with Patent-Pending Push-Button Design for Quick Takedown and Even Easier Maintenance! | DefenseReview.com (DR): An online tactical technology and military defense technology magazine with particular focus on the latest and greatest tactical firearms news (tactical gun news), tactical gear news and tactical shooting news. If you’re a Glock pistol(s) lover like we are here at DR (DefenseReview.com), then you might like this little item made by Strike Industries. 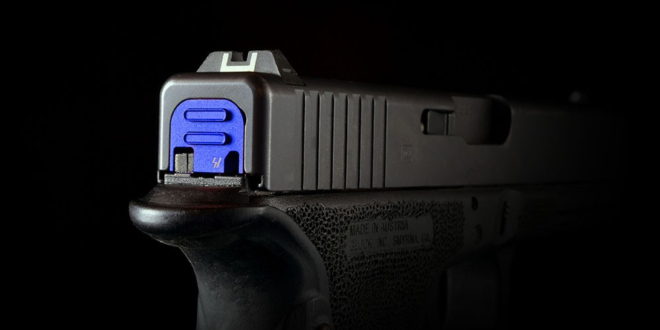 It’s the SI QD Slide Cover Plate (back plate) for Glock pistols, and it’s designed to ease and quicken the Glock pistol takedown and maintenance procedure even more through a novel, patent-pending push-button design for time-saving toolless takedown. 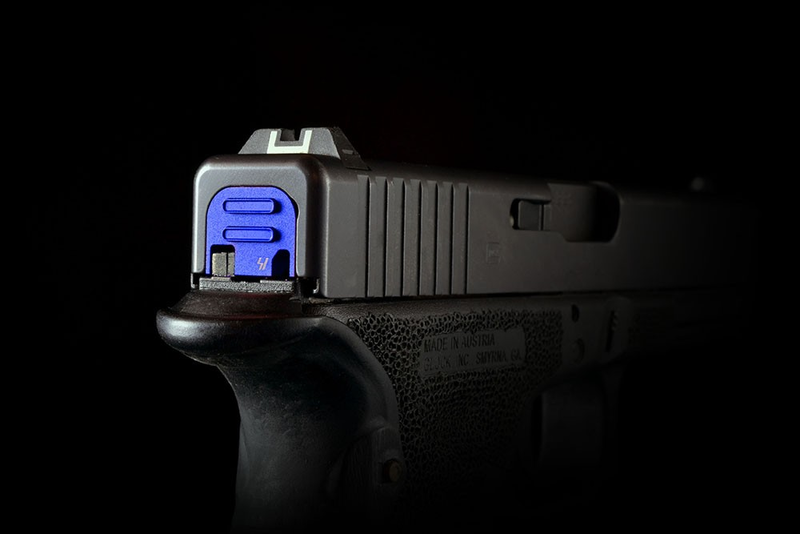 And, the bonus is that the SI Push-Button Slide Cover Plate for Glock pistols comes in a plethora of color and style options, including Black, Red, Grey, and Blue, and with a rectangle or double-line design on the face of the plate. Strike Industries SI Glock All In One (AIO) Tool for Glock Pistols: The Swiss Army Knife of Glock Tools! Next: Strike Industries SI Strike Switch 60/90-Degree AR-15 Safety/Selector Switch with Patent-Pending Push/Toggle-Action Selector Design and Ambi (Ambidextrous) Upgrade Capability for ‘Extreme Ergonomics’!